Mother and lover of all things practical, 30-something former educator, aspiring writer, world traveler and self-proclaimed pragmatist. The temptation to interact with screens around the home is inescapable. They are everywhere; in our kitchens, our living rooms, our playrooms and even in our bathrooms and beds. With the convenience of digital streaming programs like Netflix and You Tube and the portability and accessibility of iPads, Smart phones and Smart TVs, we are constantly inundated with images, sounds and a barrage of multimedia distractions. the practice of watching multiple episodes of a television program in rapid succession, typically by means of DVDs or digital streaming. 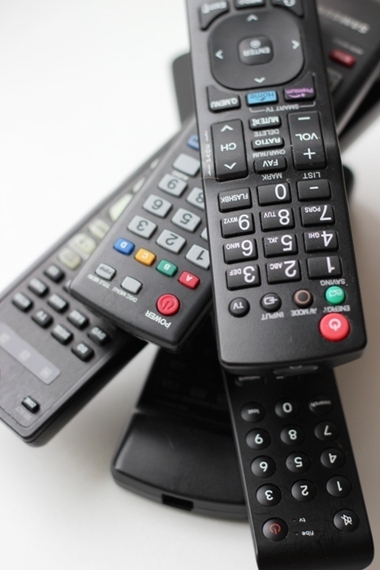 Could our kids become victims of binge watching? The average American child watches more than four hours of TV a day, despite a recommendation from the American Academy of Pediatrics (AAP) that kids age two and older watch no more than one to two hours daily. For kids under two? The AAP, along with the Canadian Pediatric Society recommends watching nothing at all. Easier said than done right? 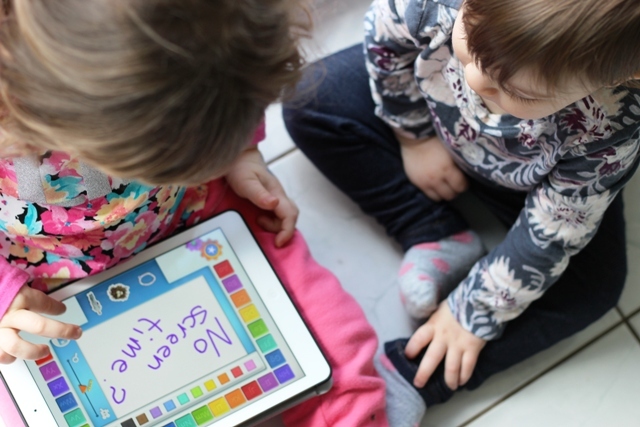 For parents, screen time is often a welcome distraction, allowing us to get things done that we would otherwise be unable to do with small children around. Heck, it is sometimes just a much needed break! I think we can all admit to using a TV or iPad as a "temporary babysitter" while making dinner, cleaning or catching up on e-mails. The AAP also reports that children under the age of two gain no intellectual benefit from watching TV, and that watching too much can actually delay language development and cause attention-related problems. I admit, I was a sucker for those Baby Einstein DVDs. A huge classical music fan, I thought it wouldn't hurt for my daughter to sit in her bouncy chair for twenty minutes and watch some puppets dance across the screen to Beethoven's 5th symphony. However, a research team at the University of Washington found that for every hour per day spent watching baby DVDs and videos, infants learned six to eight fewer new words than babies who never watched the videos at all. A piece in Scientific American, however, shed a glimmer of hope for the doomed television. It revealed how some studies have shown that certain educational TV programs, such as Dora the Explorer and Blue's Clues , can actually improve vocabulary in older kids. Unfortunately, that still doesn't apply to the under two crowd. With all this rigorous research and finger wagging at parents, how could we possibly allow our children to be "dumbed-down" by the negative effects of TV and screen time? It doesn't take a rocket scientist to figure out that playing at the park is more beneficial for a child's health and development than being sedentary and watching TV. But for some parents, going to the park just isn't a possibility all the time. There are so many complex factors that govern our lives and limit our abilities as parents that sometimes we just have to "make do". Whether its work, accessibility, health issues, or other demands, the ever-increasing expectations placed on parents can be overwhelming and sometimes unrealistic. Perhaps when it comes to screen time and our kids, allowing for a little leeway wouldn't be such a bad thing. While I worry that watching too much TV will lower my daughter's creative thinking ability, I know that my willingness to whole heartedly engage and play with her for quality periods of time throughout the day will hopefully cancel out any negative effects that screen exposure may cause. Parents today are more engaged than ever with their kids, especially when compared with older generations. My best advice for you? Use your common sense. 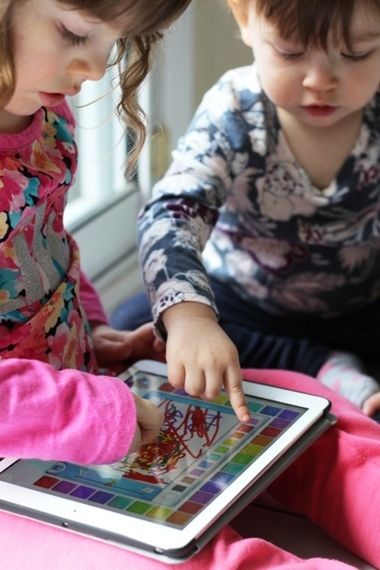 Although less is best when it comes to screen time, sometimes it is unavoidable. 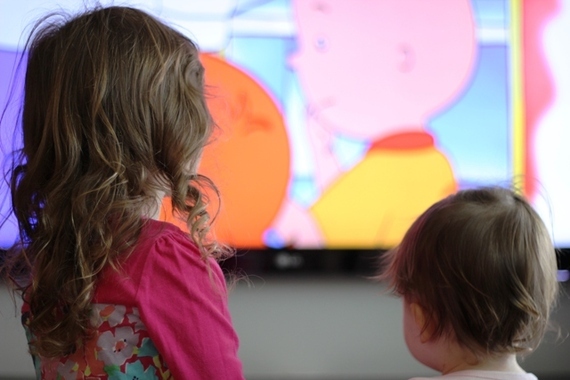 Is watching an hour or two of TV a day going to intellectually damage your kids? Most likely not. Watching five to six hours a day? Maybe. Just use your best judgment and do what you need to do to survive. At the end of the day, even a little Netflix can go a long way. A mother and lover of all things practical, Jill Campbell (aka Pragma Mamma) is a 30-something, former educator, world traveler and self-proclaimed pragmatist trying to navigate this journey called life. Her blog www.pragmamamma.net covers news and views that are relevant and important to busy families on the go. Featuring simple and healthy recipes, family friendly product reviews, original photography and hot parenting topics, her goal is to inform and hopefully inspire. Jill currently works as a part-time tutor/mentor, aspiring writer and full-time wife and mother of two fabulous daughters near Toronto, Canada. Join Jill as she pursues her PhD in parenting and all of the chaos that comes with it!